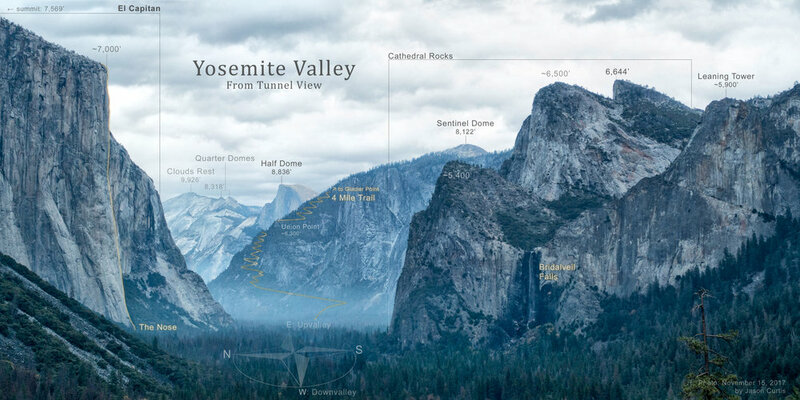 Tunnel View - the first moment that the valley is spread out before you when entering the park on Wawona Road. This is one of Yosemite's most famous, most photographed and most gawked-at angles. I've labeled all of the prominent peaks, paths and landmarks visible in the image.